A measuring ruler which fell from the top of a construction site in Male’ City has resulted in damages to a vehicle in the street below. Maldives Police Service reports the incident took place at approximately 11:50 am this Sunday from a construction site located near Velana Building. The police say a formal complaint has been filed regarding the damage to the vehicle – a car, but that the incident did not result in any bodily harm. Report of the construction accident has been shared with the Male’ City Council, says the police. Male’ City Council, in face of recurrent construction accidents, has pledged to conduct regular inspections on construction sites in the city to check for compliance with safety standards. 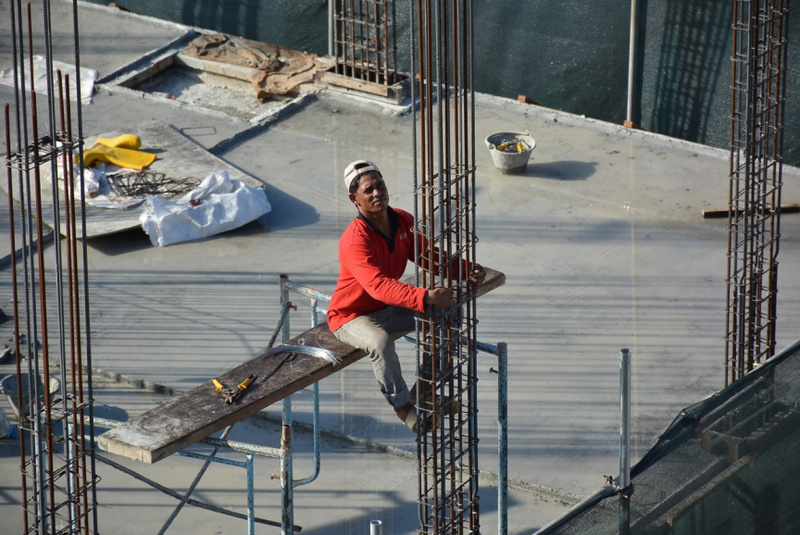 It has also stepped in to suspend work at some of the construction over slack safety standards leading to accidents.